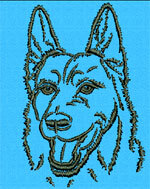 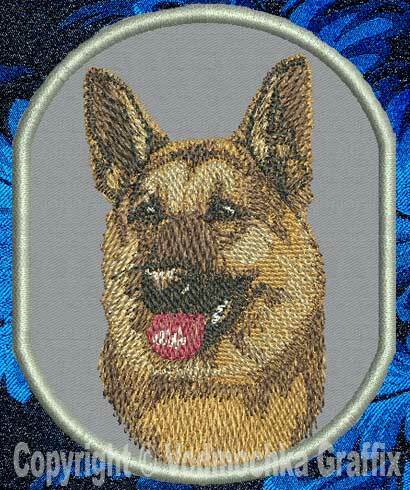 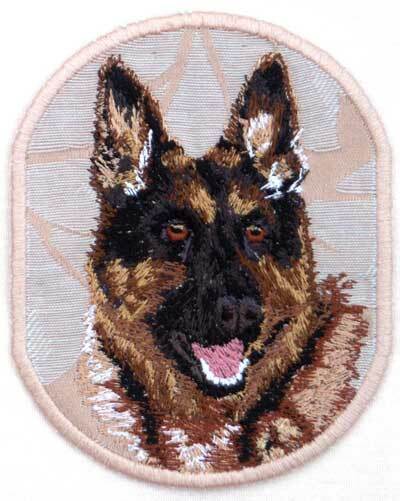 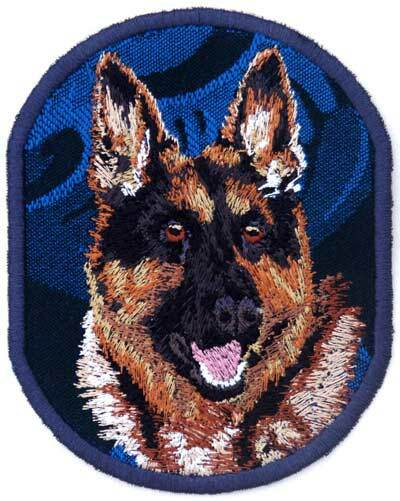 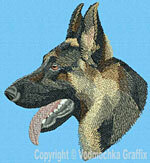 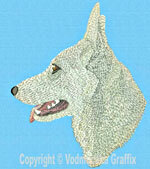 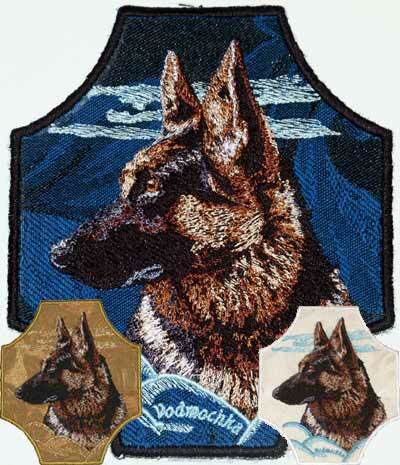 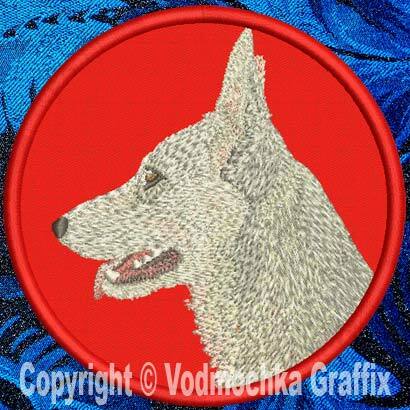 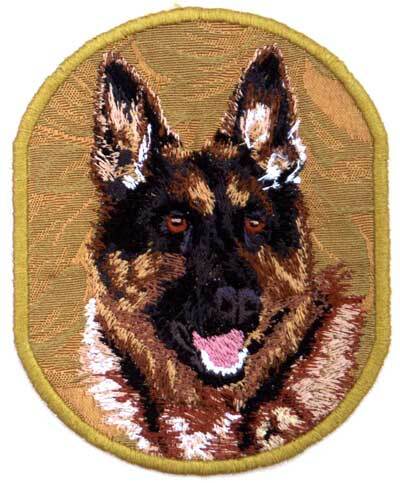 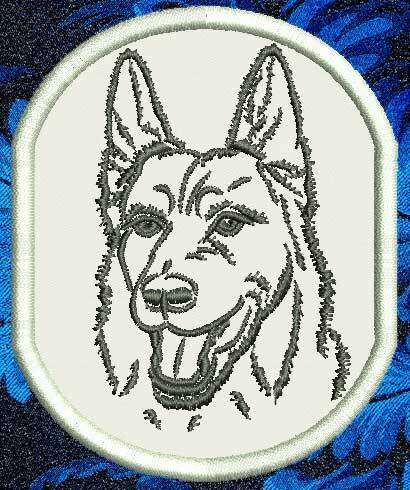 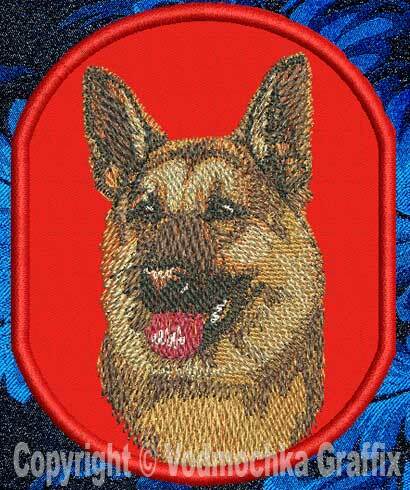 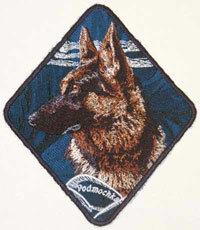 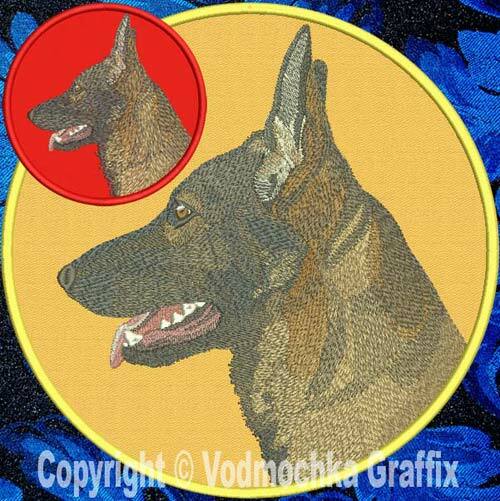 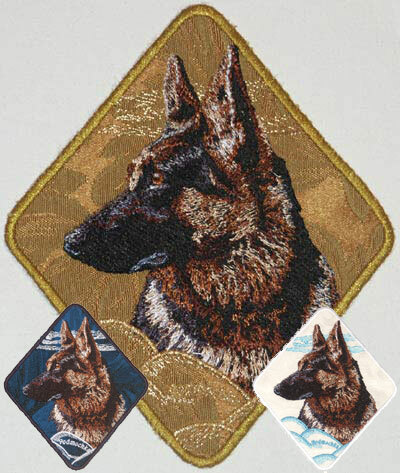 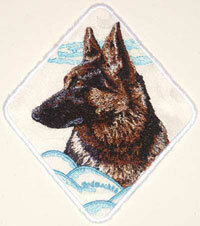 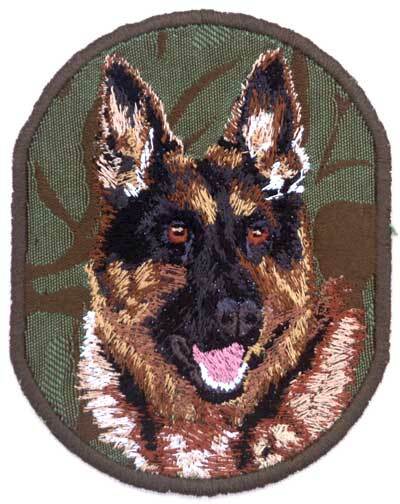 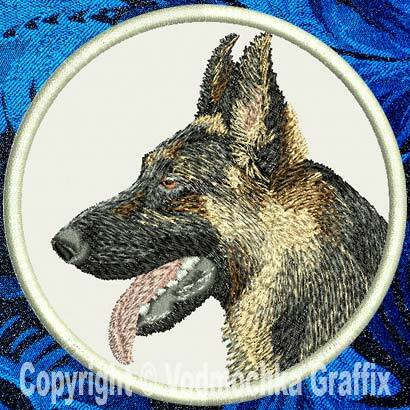 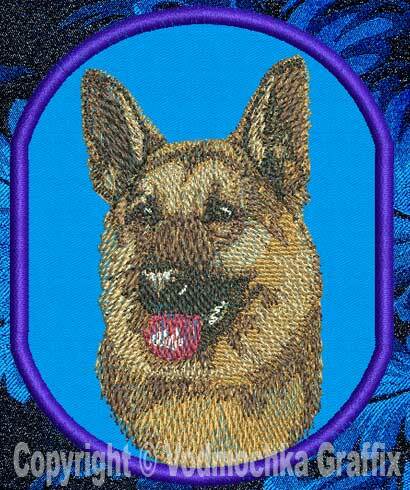 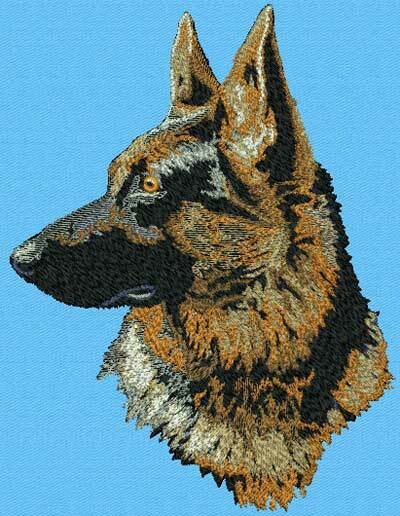 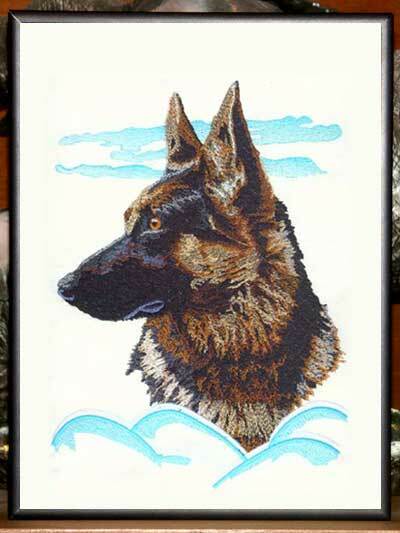 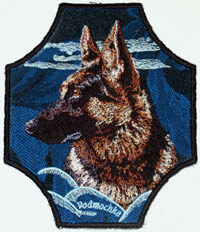 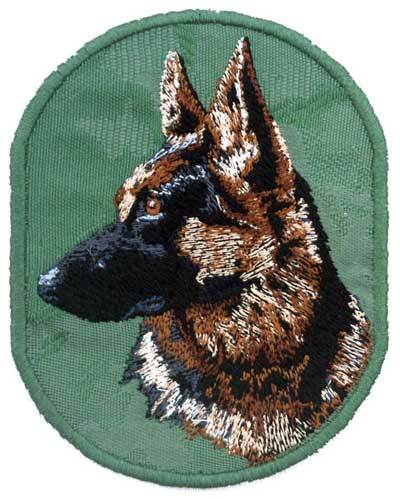 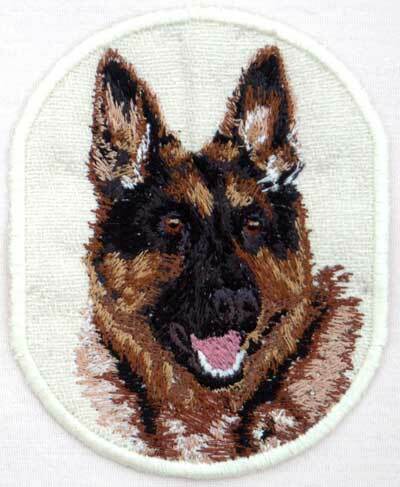 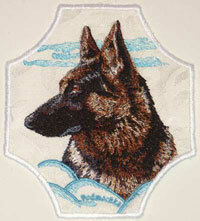 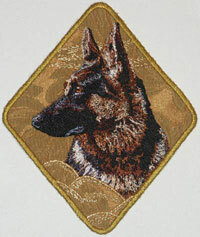 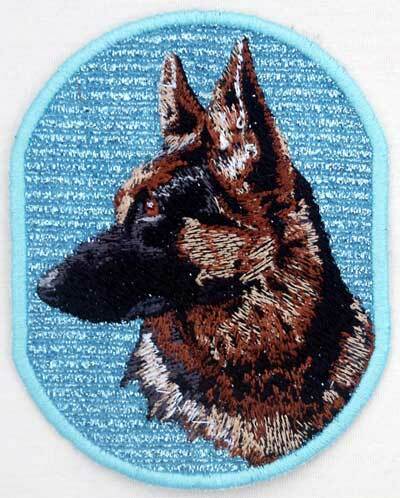 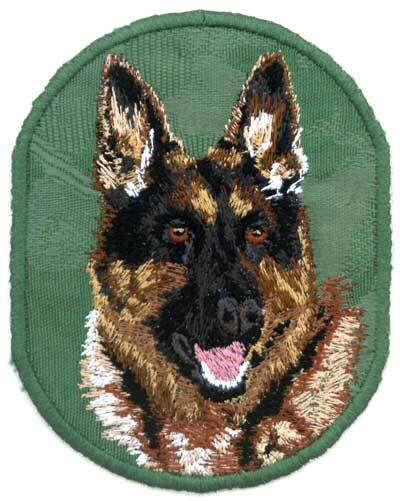 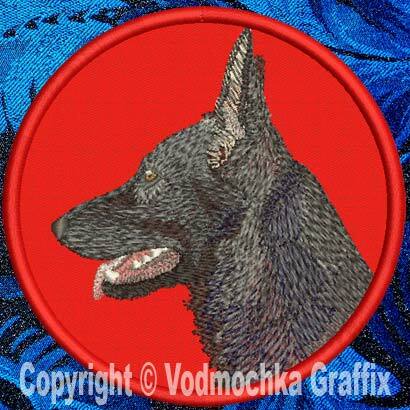 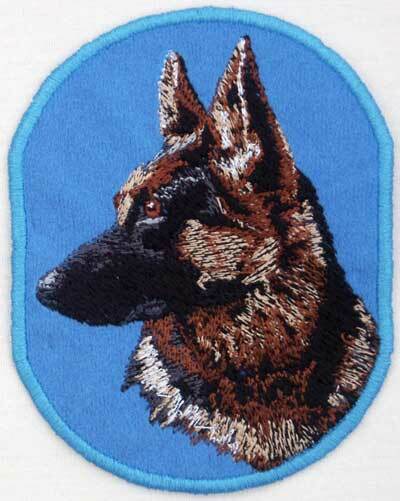 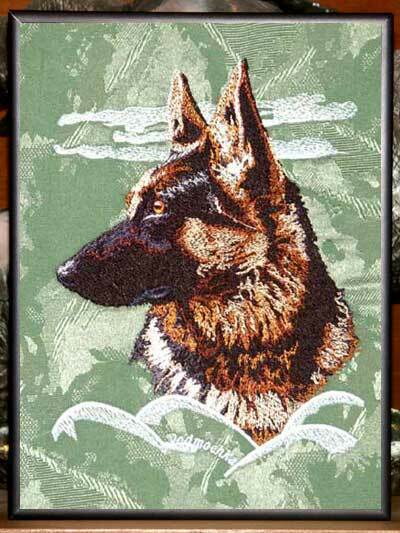 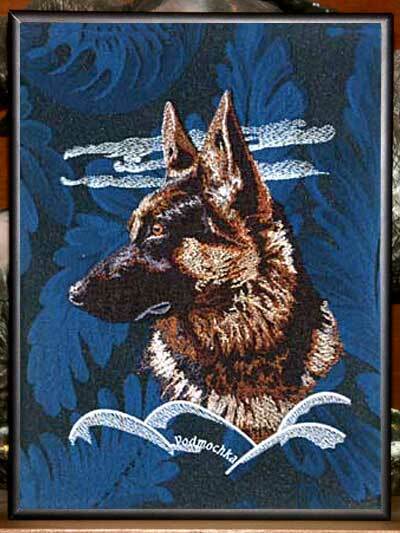 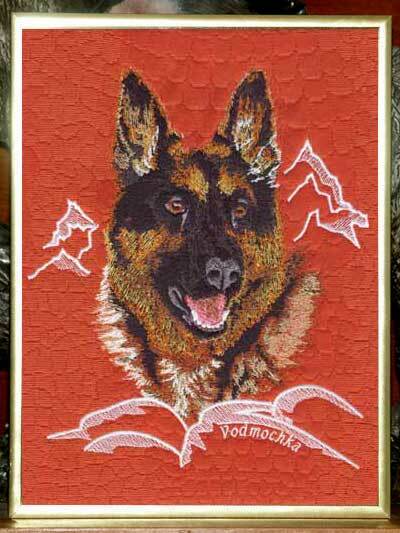 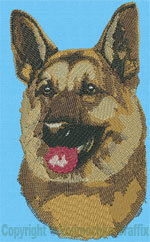 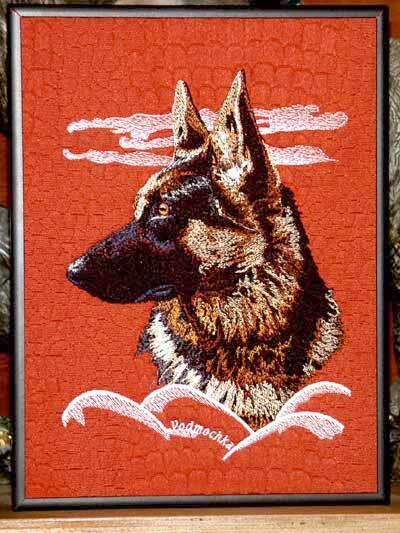 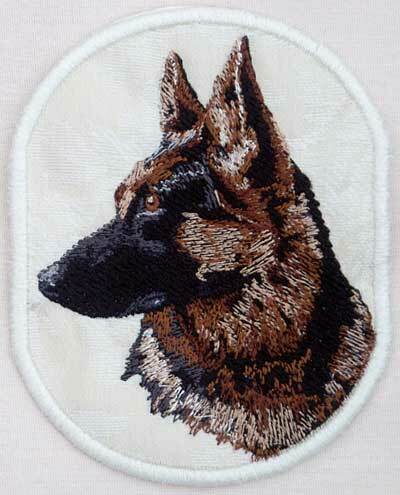 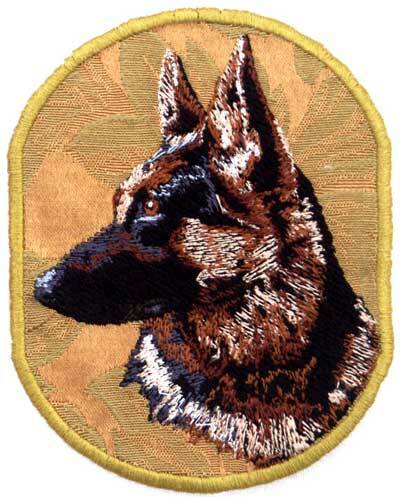 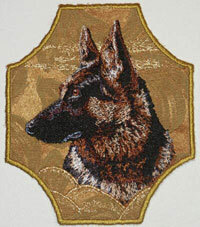 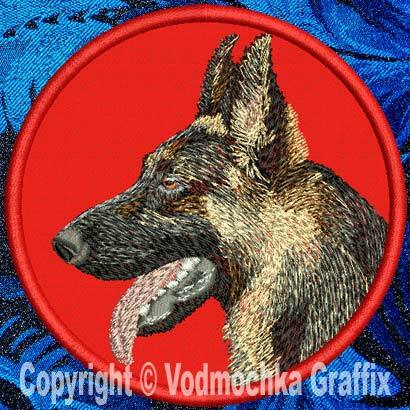 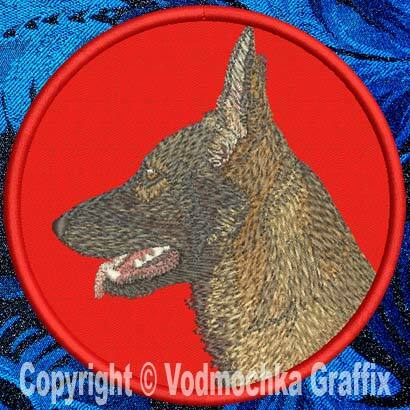 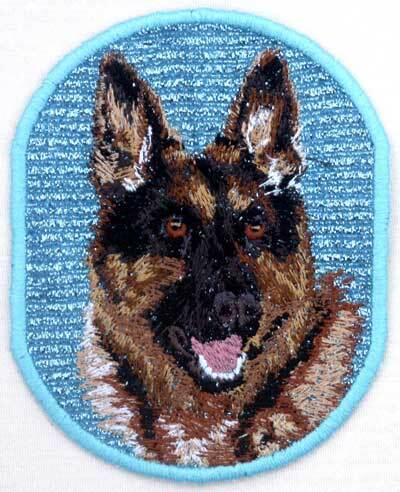 The Embroidered German Shepherd Portrait Patches are ready to attach to garments and accessories. 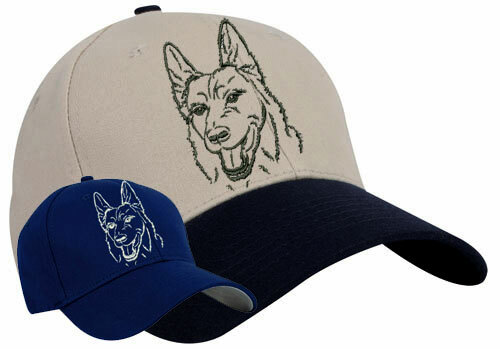 The pro style German Shepherd Embroidery Portrait Baseball Cap with NU-FIT cotton spandex fitted design is the most comfortable hat you ever had. 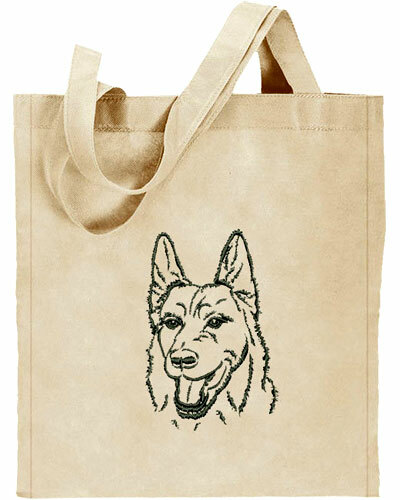 Show your love to your dog with the German Shepherd Portrait Embroidered Tote Bag. 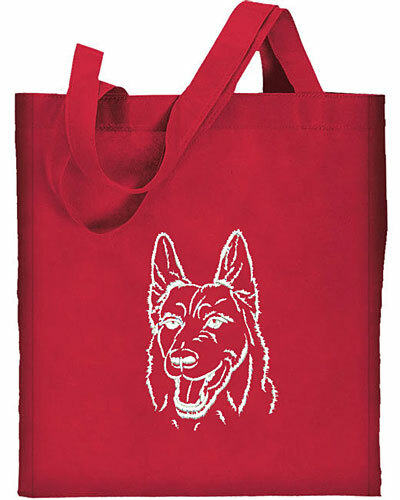 Replacing the plastic bags with the German Shepherd Tote will help the enviroment. 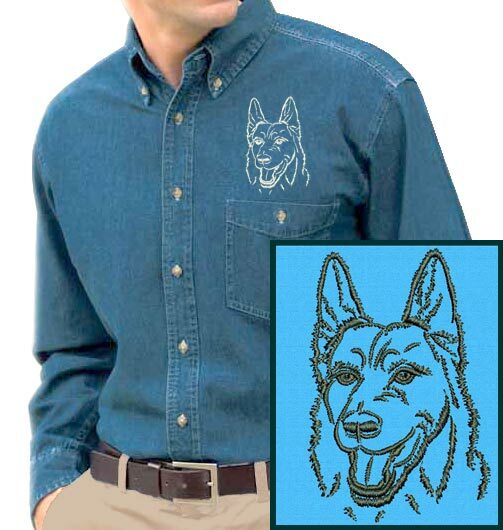 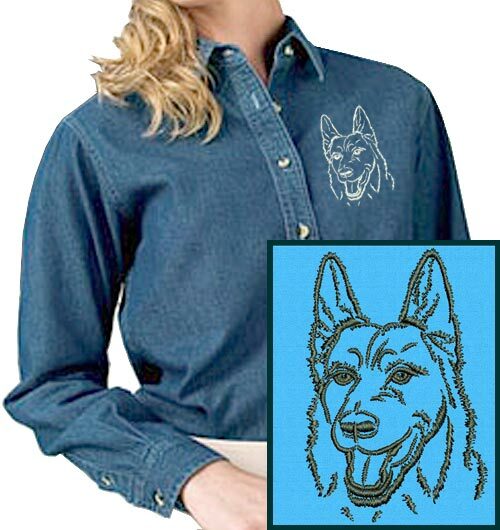 The Denim Shirts Embroidered with German Shepherd Portrait are available with long sleeves. 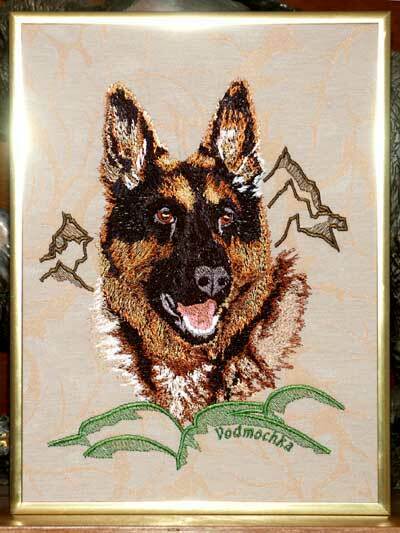 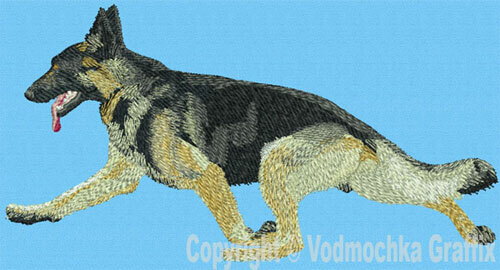 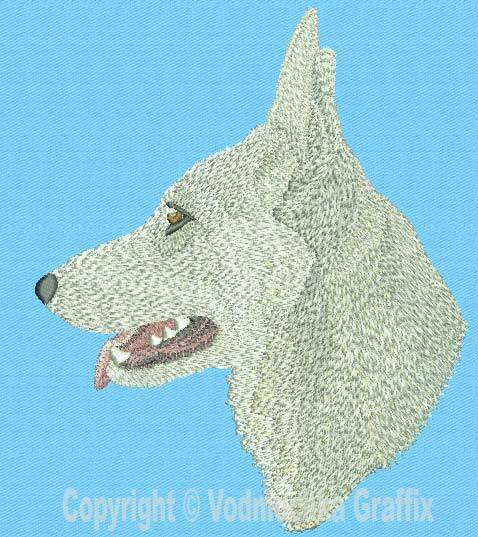 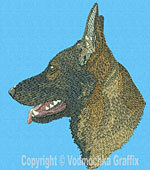 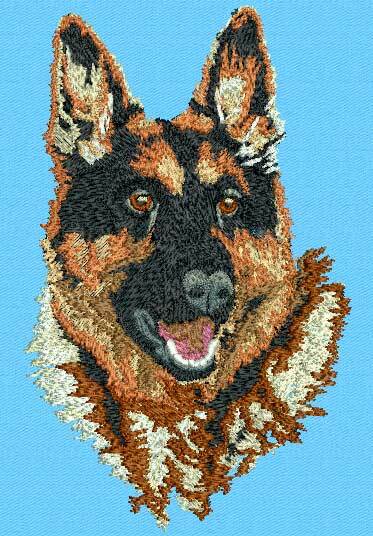 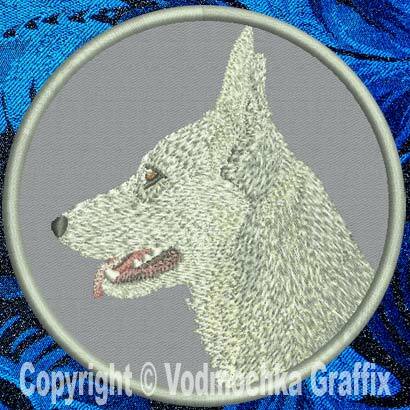 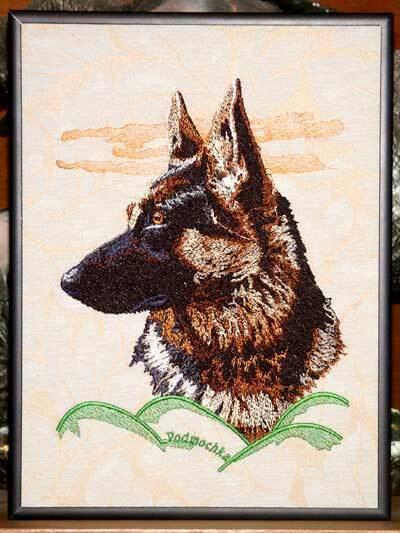 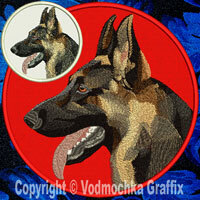 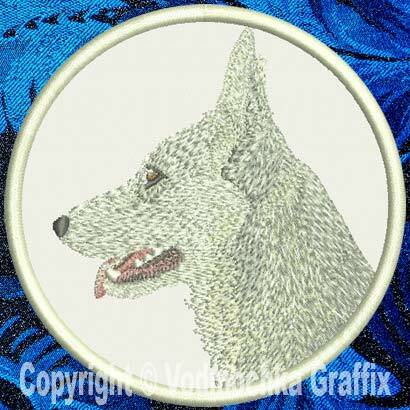 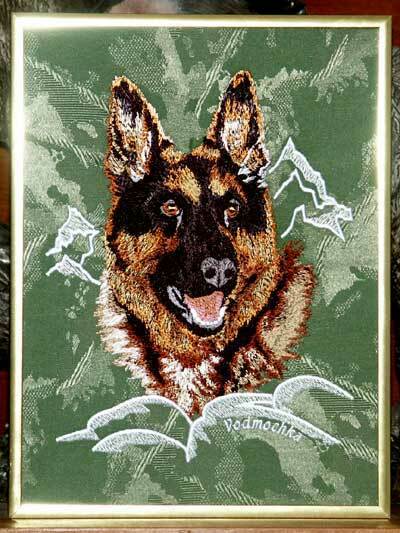 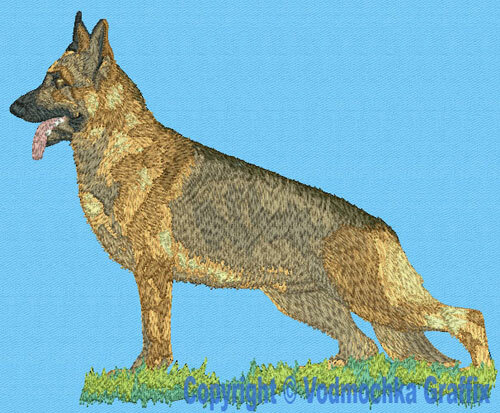 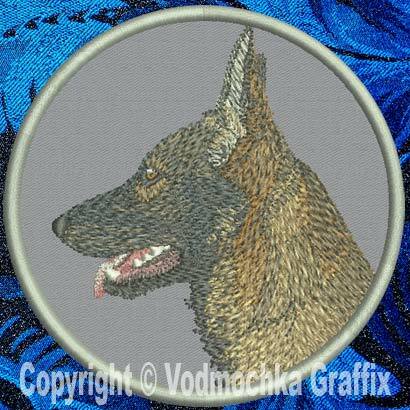 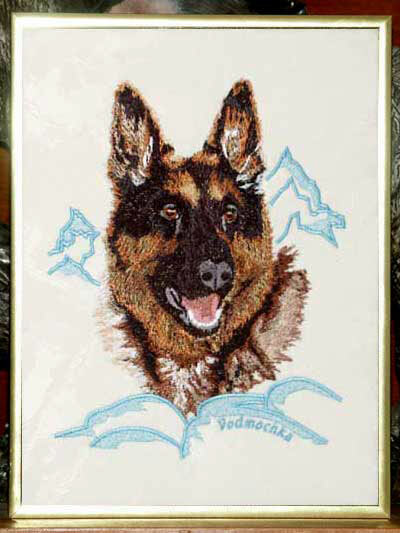 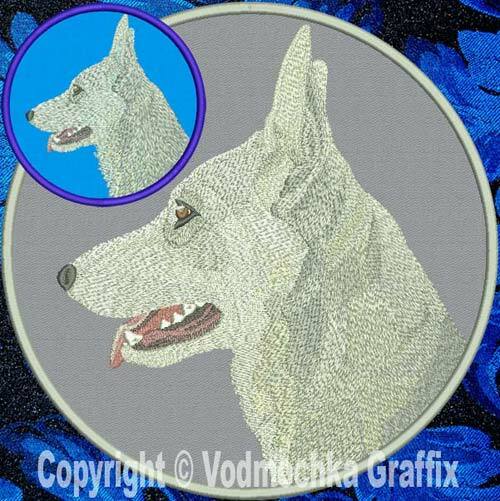 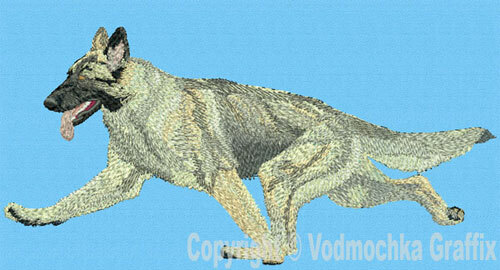 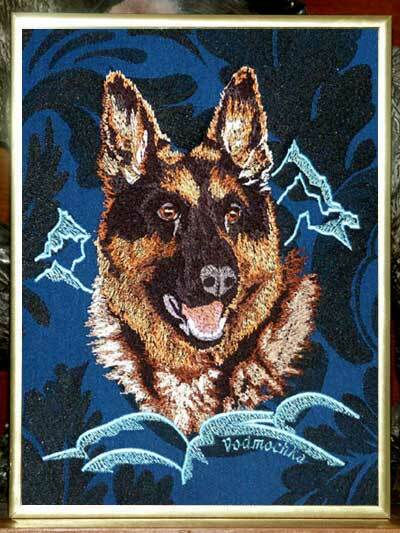 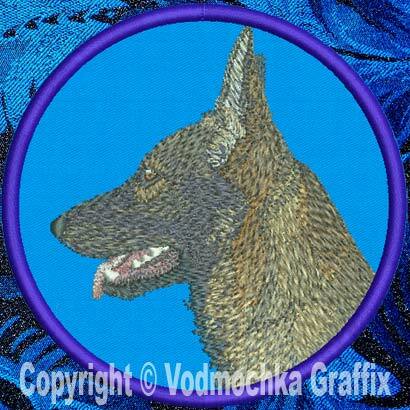 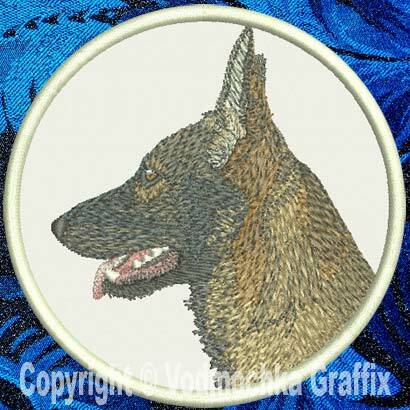 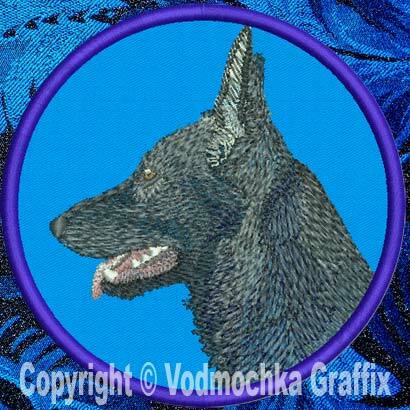 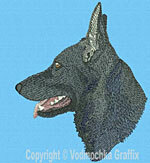 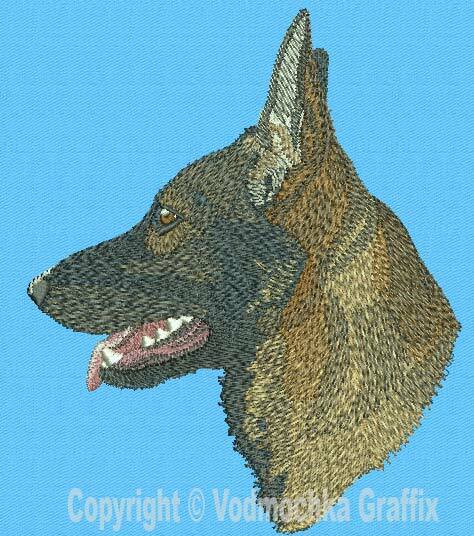 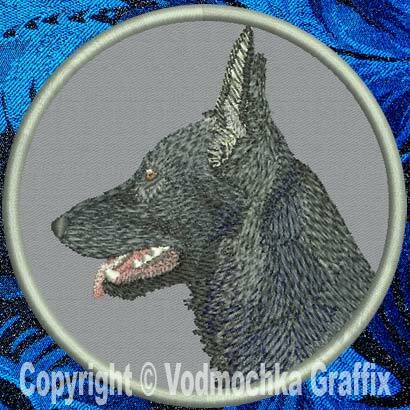 Frames: This German Shepherd Embroidery Portrait is ready to hang on the wall! 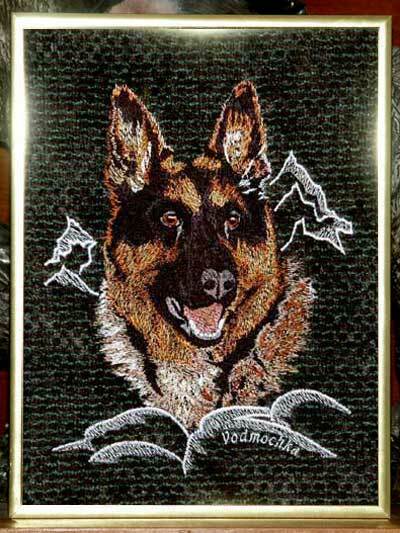 The High Definition Embroidered Portrait, stretched on wood canvas frame - shown here with optional decorative frames. 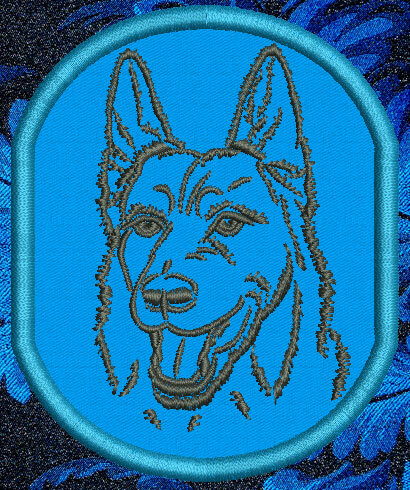 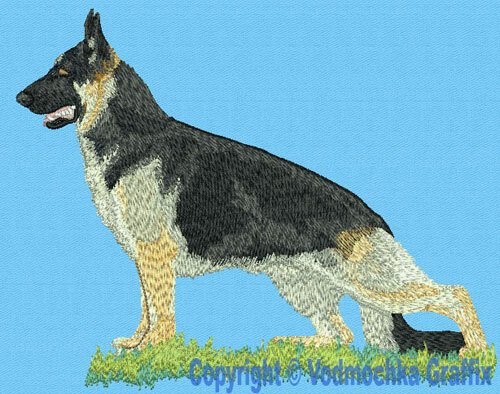 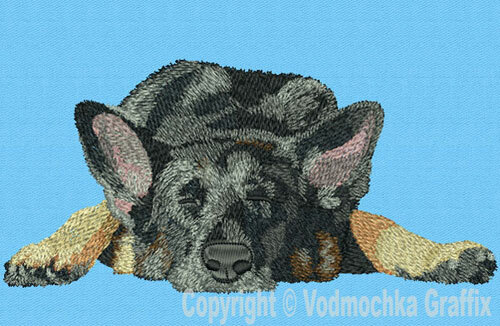 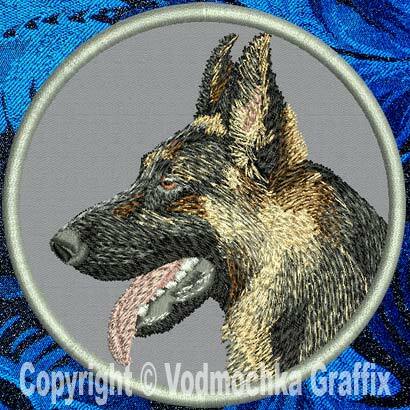 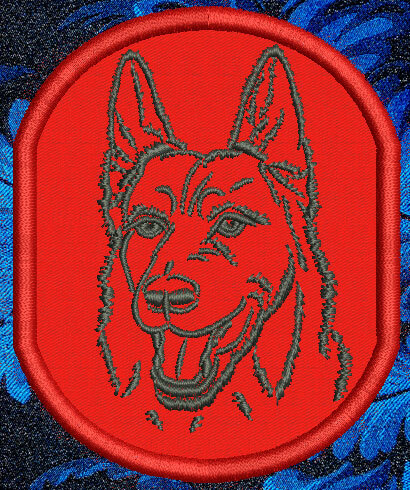 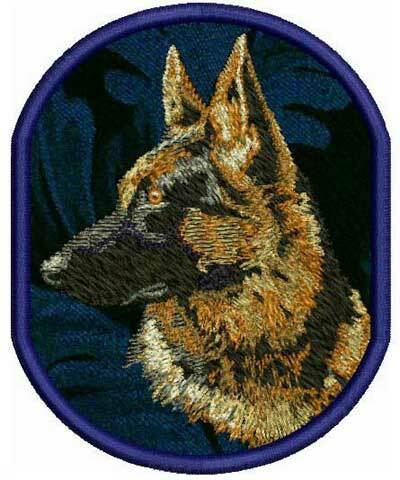 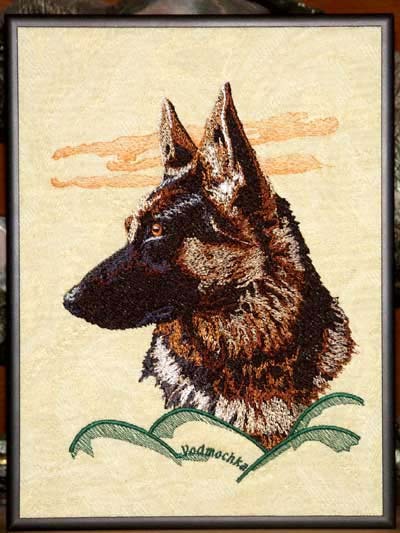 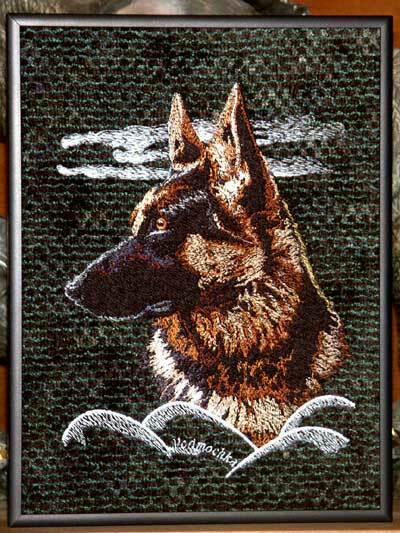 The Embroidered Sable German Shepherd HD Profile #2 - High Definition Embroidery Patches are ready to attach to garments and accessories. 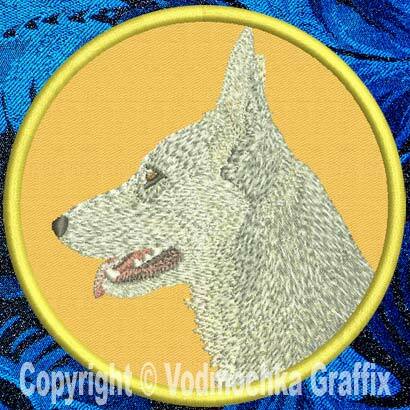 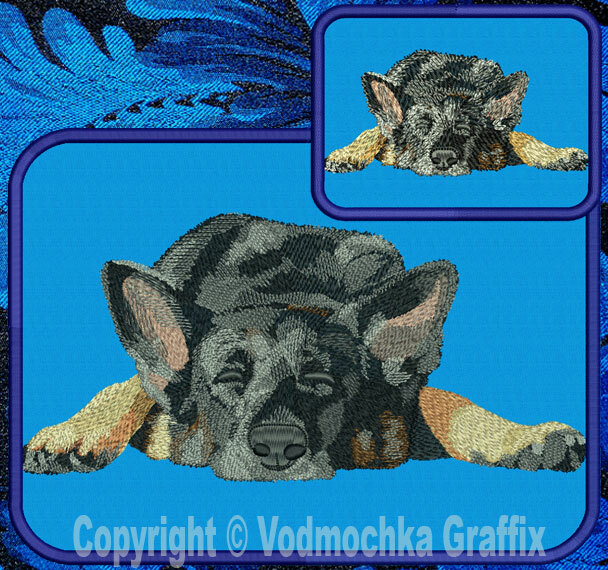 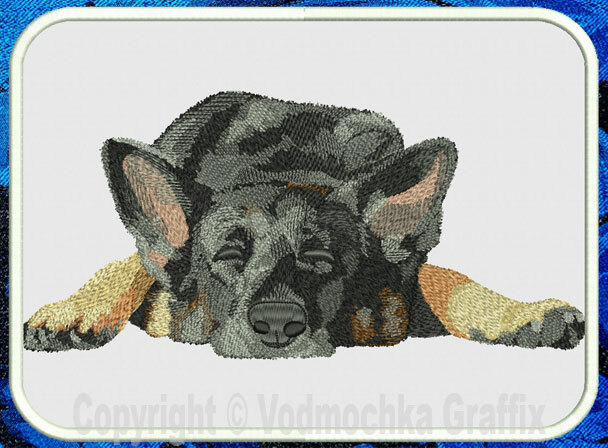 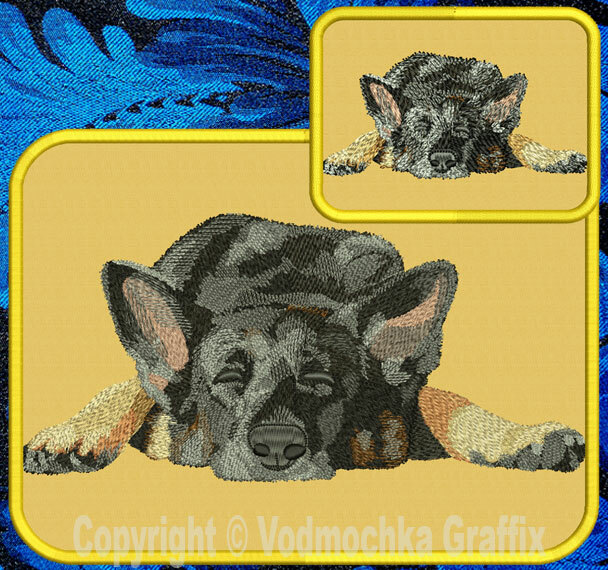 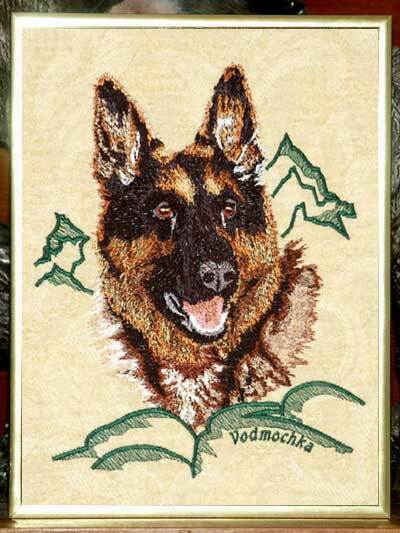 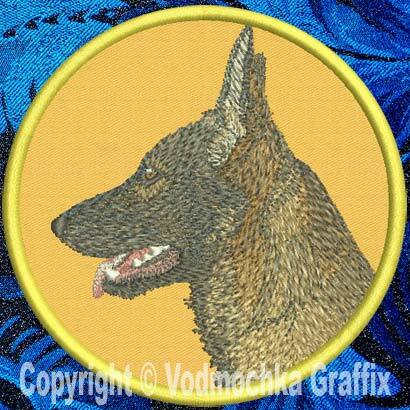 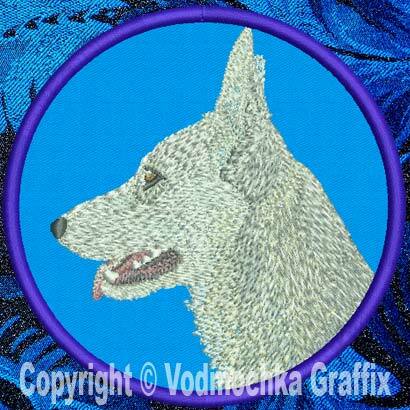 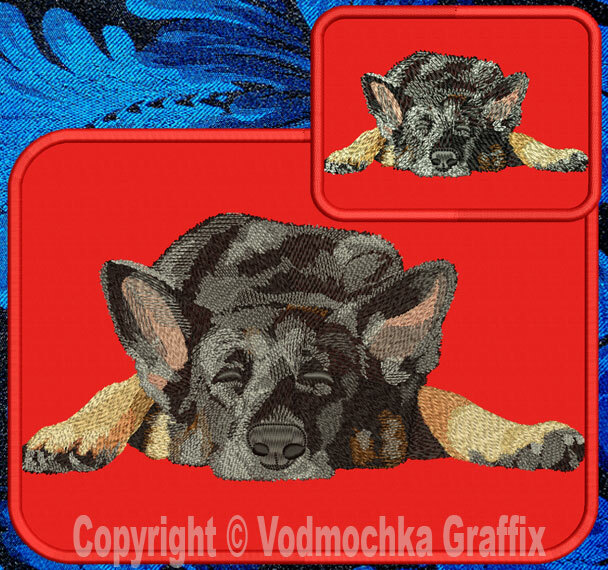 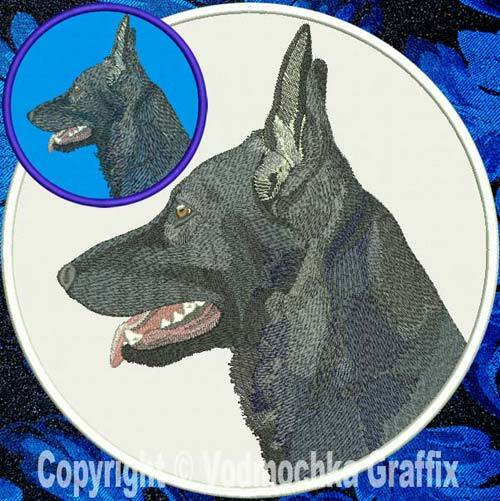 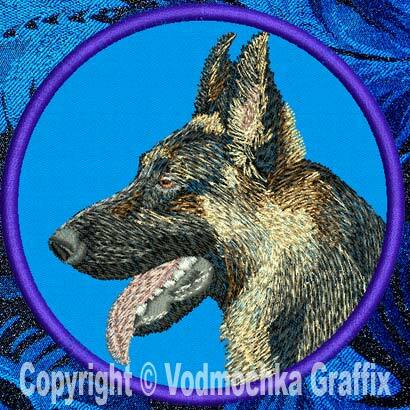 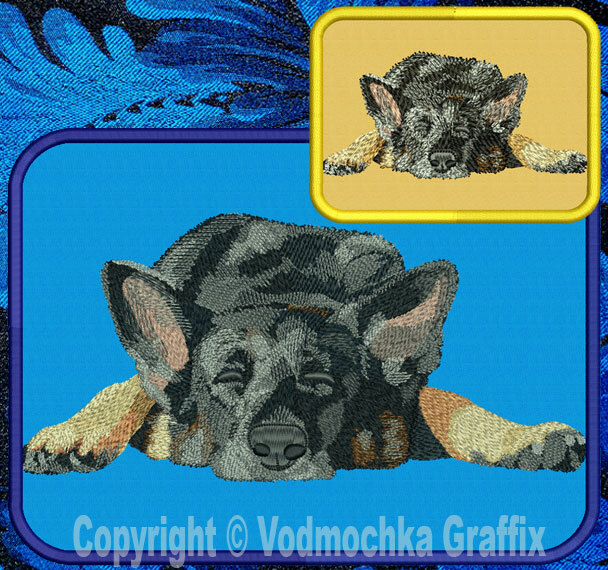 The German Shepherd designs on this page are copyrighted by Vodmochka Graffix and may not be copied and/or distributed in any format or by any method, either altered or unaltered, without the express written permission of Vodmochka Graffix.